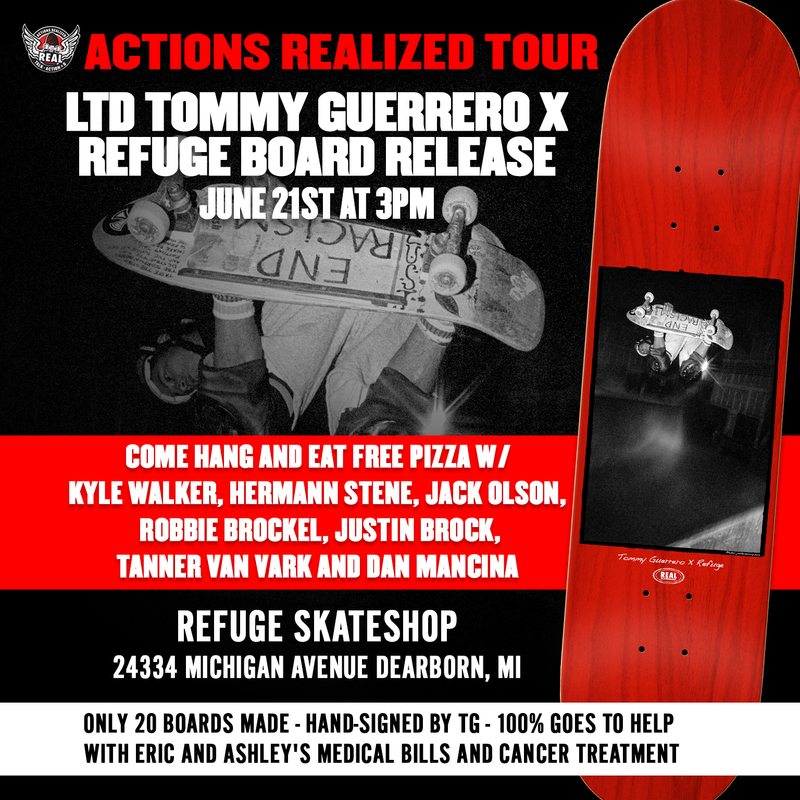 Join REAL on the Actions REALized Tour for a very special Tommy Guerrero x Refuge Skateshop board release party. 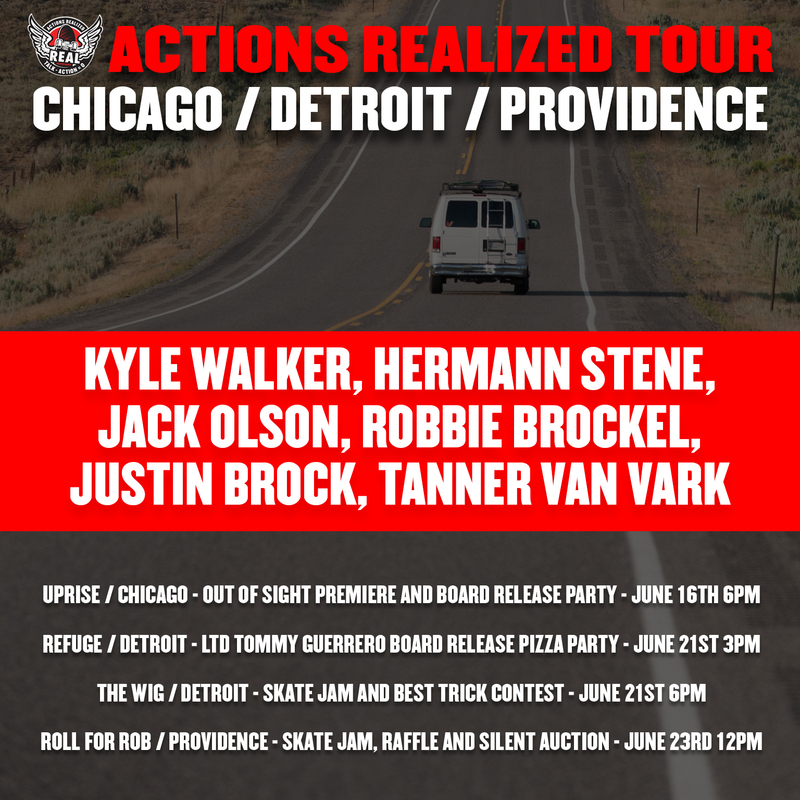 June 21st at 3pm. Only 20 hand signed boards made – 100% goes to Eric and Ashley from Refuge to help pay for their medical bills and cancer treatment – photo by Josh Curry.